Log splitters take the back-breaking work of splitting cut log pieces by utilizing a hydraulic plate that pushes the log against an axe-shaped cutter, splitting the logs. The two types of log splitters available are gas and electric. While the gas models are more powerful, the electric models, such as the Task Force, will accomplish the job for smaller log sizes. However, there are some issues that are typical of these splitters. The push rod of the Task Force log splitter is typically a hydraulic cylinder that extends when pressure is added via the hydraulic pump. 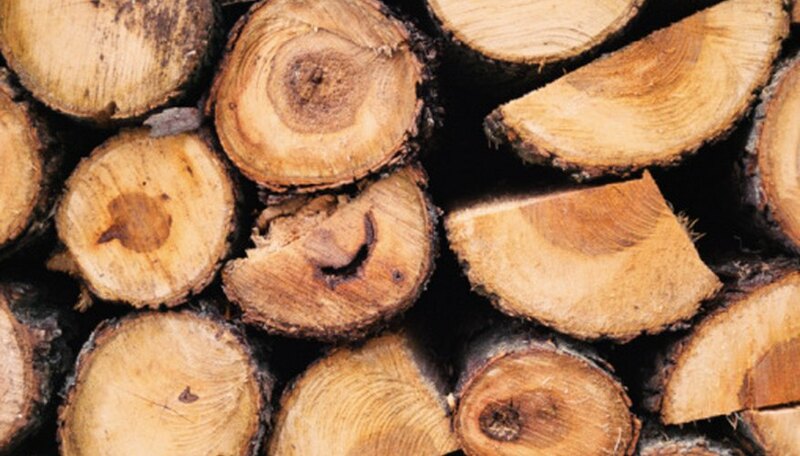 When a log that is placed on the log splitter has uneven ends, sometimes the push rod bends. This problem requires replacing the hydraulic arm, which is a multitude of separate parts; replacing the entire unit may be cheaper. The weld for the ram head that engages the log, pushes the log onto the axe and splits the log can break if uneven pressure is applied to the plate. This problem can be corrected by grinding the original weld off the ram plate and hiring a certified welder to reweld the ram plate back onto the mount that attaches it to the push rod. One of the biggest problems with the Task Force Electric log splitter is that the motor runs off an electrical connection that requires 15 amps. However, when the motor struggles through to cut a piece of wood, more electricity is drawn to the appliance and often draws enough electricity to trip the circuit breaker. Why Does the Start Capacitor Overheat?